Khloé Kardashian has grieved the death of Jamie Sangouthai. Jamie passed away at the age of 37 in a downtown Los Angeles hospital on Sunday, according to TMZ. Khloé is upset over the loss of her friend and she expressed her grief on Twitter. “when does it stop? RIP Jamie Sangouthai (sic),” she wrote, attaching a broken heart emoji to the tweet. Jamie was good friends with Khloé’s former husband Lamar Odom, having known the NBA player since they were in high school. Before she filed for divorce from Lamar in December 2013, Khloé spent a lot of time hanging out with Jamie. Khloé’s best friend Malika Haqq also paid her respects to their fallen pal. “Thru good and bad times life shows us every spirit matters and leaves a print on the hearts of others after they have passed... RIP Jamie Sangouthai #GodHelpUsAll (sic),” Malika wrote on her Instagram account in a caption attached a picture of herself, Jamie, Khloé and Lamar having fun together. Jamie frequently appeared on reality TV show Khloé and Lamar in the past. TMZ reports authorities believed he may have died from a heroin overdose. Jamie’s battle with drugs was documented on Khloé and Lamar. 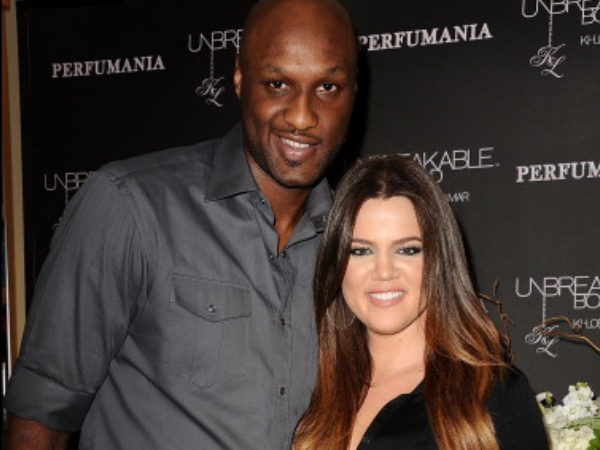 It’s claimed some people believe Jamie’s influence might have had something to do with Lamar’s crack binge two years ago, which led to his split from Khloé. A 2013 homemade rap video Jamie made with his friend Lamar, in which the pair both appeared to be high on drugs, became infamous after going viral online.